Natacha has been practicing Ashtanga Vinyasa Yoga , Iyengar Yoga , and the Bihar School of Yoga in order to gain a deeper insight so that I may teach in different ways according to the student’s taste, physical ability and needs . Ashtanga Vinyasa Yoga :Very dynamic , challenging advanced asanas (postures ) , highly physical, sometimes called Power Yoga, the flow in one asana to another is a powerful and intense moving meditation . Iyengar Yoga :Very precise & more static, excellent at the therapeutic level , very good to get correct alignment and aestheticism in your asanas. Bihar School of Yoga &Kundalini Kriya Yoga , subtle , internal , excellent in yoga theory and philosophy , working in a softer way with internal energy , relaxation , meditation, visualizations , gentle and soft asanas. Master BNS Iyengar awarded title of Yogavisharda and Yogaratna by the Maharaja of Mysore. Direct student of Krishnamacharya . Ashtanga Vinyasa second serie Yoga philosophy , Patanjali Yoga Sutras , Pranayama excellent course,Kundalini Yoga theory & practice. 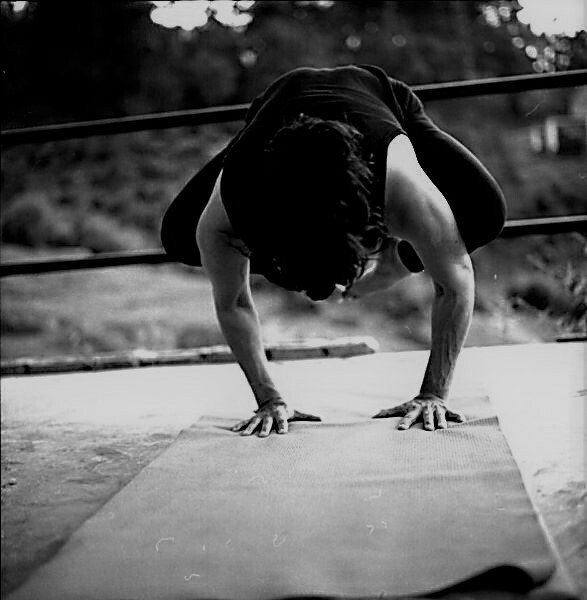 Iyengar Yoga asanas , yoga teacher training techniques , Iyengar Yoga therapy , yoga anatomy ,Yoga philosophy Bhagavad Gita , Pantanjali Yoga Sutras , Hatha Yoga Pradipika . YTTC 2 months. Parmath Niketan Ashram , Swarg Ashram , Rishikesh , Uttaranchal , India . Swami Chidananda Saraswati , director of Parmath Niketan (World Yoga Council from IYF, International Yoga Federation) Parmath Niketan Ashram , Rishikesh , Uttaranchal , India . 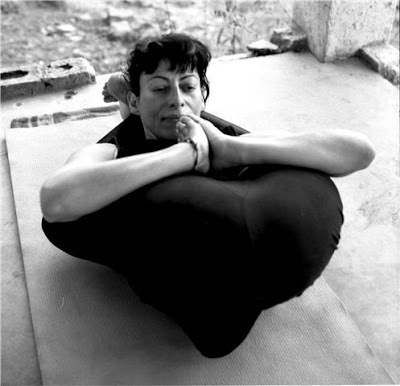 Ashtanga Vinyasa Yoga , Iyengar Yoga , Bihar School of Yoga , Anusara Yoga ,Kundalini Tantra Yoga , pranayama , yoga nidra , sat kriyas , yoga therapy,yoga anatomy ,vedic chanting , meditation . Yoga philosophy Bhagavad Gita , Pantanjali Yoga Sutras . (YTTC 2 months). Certified on 19/11/2005 . Swami Samarpananda Saraswati, Acharya from Bihar School of Yoga . Asanas , yoga teacher training methodology, sat kriyas , yoga nidra , meditation , pranayama , karma yoga . Yoga philosophy Gheranda Samhita , Pantanjali Yoga Sutras . (YTTC 1 month) . Certified on 04/05/2005 .ISAYAF , International Samarpan Yoga Awarness Foundation, Old Satyanaranaya Temple, Rishikesh , Uttaranchal , India. Mr.Hitch, teacher from California,USA Yoga acrobatics, Acro-Yoga Therapeutic, Flying Partner Yoga &Thai Massage. Ashtanga Vinyasa Yoga second series (Oct 2006) & Primary serie (2001 to 2005) Master Vijay Amar Sen, international Ashtanga Vinyasa Yoga teacher with 35 years of yoga practice: Hatha Yoga, Iyengar Yoga & Ashtanga Vinyasa Yoga. Mc Leod Ganj, Himachal Pradesh, India. Ashtanga Vinyasa Yoga second Series (2005) Master Sheshadri, international Ashtanga Vinyasa Yoga teacher, India yoga champion. Mr.Sheshadri’s Guru, Master BNS Iyengar is a direct student of Krishnamacharya. Mysore Mandala, Mysore, Karnataka, India. Kriya Yoga Kundalini Tantra Yoga (2003) Karare Ashram, Swami Hariharanada lineage Meditation techniques on Chakras and Nadis with visualizations and gentle, soft asanas.Puri, Orissa, India. Brahmacharya Rudra Dev, Senior Iyengar Yoga teacher Asanas , pranayama , yoga therapy , yoga philosophy, meditation.Yoga study centre, Rishikesh, India. Master Usha Devi, Senior Iyengar Yoga teacher Iyengar Yoga methodology, Pranayama,Yoga Philosophy. Omkarananda Ashram, Rishikesh, India .